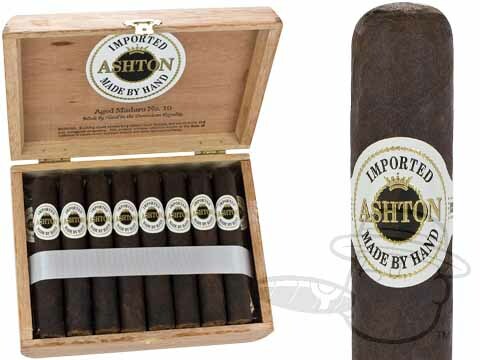 The Ashton Aged Maduro #10 is tagged with free shipping. If you order this product, your entire order will receive FREE BCP Ship Saver shipping! Ashton Aged Maduro #10 brings you unique maduro character in a traditional 5x50 Robusto vitola. Great cigar with complex smoke. Ashton Aged Maduro #10 is rated 4.3 out of 5 based on 2 customer ratings.